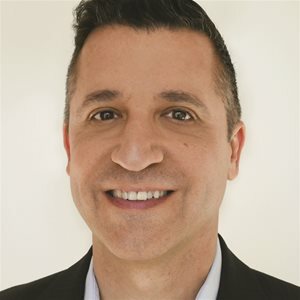 Larry Grimaldi is Senior Vice President of Development & Production at Marvista Entertainment, where he helps create, develop and produce entertainment programming in the television movie, scripted and unscripted series and digital spaces. Before joining MVE, Larry spent considerable time as an independent producer. His career includes work for CBS, Disney, Hallmark, Lifetime, Bravo, MTV, VH1, WE, TLC, Freeform, Style Network, Animal Planet, E Entertainment and Harpo (Oprah Winfrey’s company). In his current role, Larry has multiple projects in development at various U.S. networks including: Hallmark, Lifetime, Netflix, Freeform and BET. In 2019, Larry most recently served as an executive producer on two Hallmark films, A Winter Princess and Bottled with Love, as well as Back of the Net, Disney Channel’s new original movie to be released in June. Previous Network Original Movies include: A Majestic Christmas (Hallmark), My Christmas Love (Hallmark), Christmas Around the Corner (Lifetime) and Mark & Russell’s Wild Ride(Disney XD). Before he joined Marvista, Larry was a supervising producer on Rich Kids of Beverly Hills for E and a senior producer on multiple seasons of Bravo’s successful TV series: Real Housewives of Beverly Hills and Real Housewives of Orange County. Larry’s other unscripted producing credits include a TV series about skateboarders and BMX’ers called Next X, which premiered on Disney XD, Date My Ex: Jo & Slade(Bravo), How Do I Look (Style), Switched (ABC Family) and the controversial Boy Meets Boy (Bravo). His documentary films include the awarding winning, Camp Out, a film centering on a bible camp for Gay Christian kids for MTV Networks/Logo and the indie doc film, 55 Bucks, about impoverished women in Tanzania, Africa. Before producing and directing reality series and docs, Larry was a TV movie exec at Hearst Entertainment. In between producing, Larry has also overseen development, production and current programming for companies such as Style Network and Automat Pictures. Besides having a great love for television and film, Larry is also an avid theatergoer, self-proclaimed foodie, world traveler and lover of all things Italian. Larry graduated from Villanova University and started his career working for veteran film producer Freddie Fields. Larry currently lives in Los Angeles.